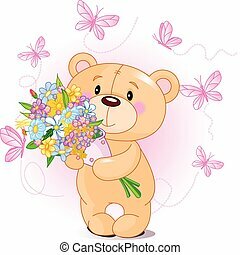 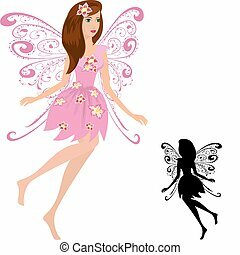 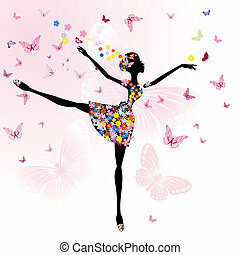 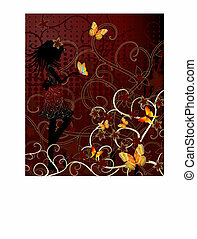 Girl with flowers and butterflies. 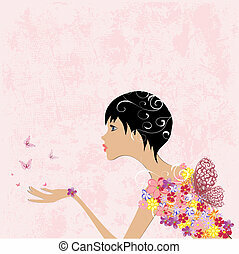 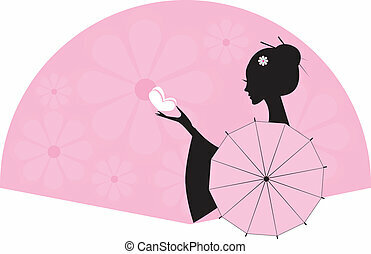 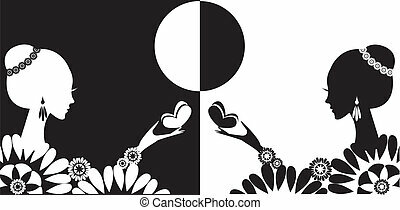 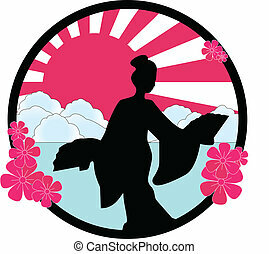 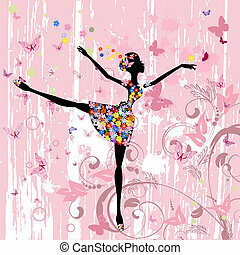 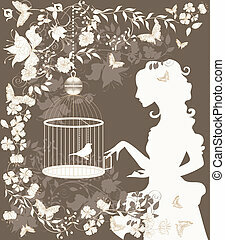 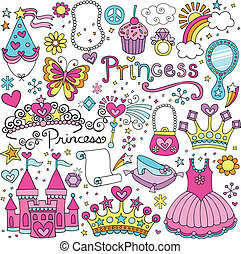 Vintage background with flowers, bird and girl silhouette. 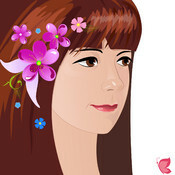 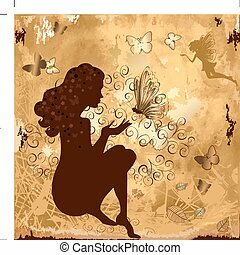 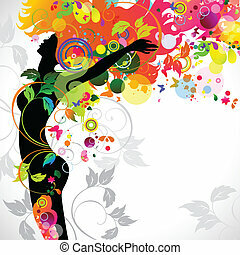 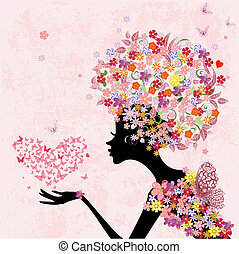 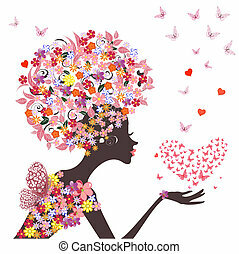 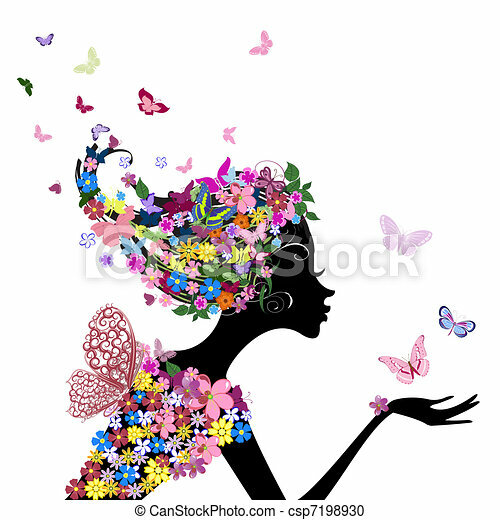 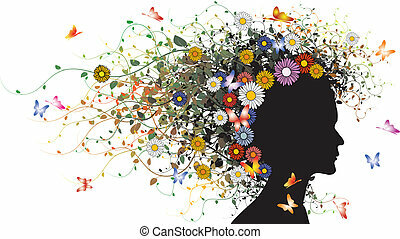 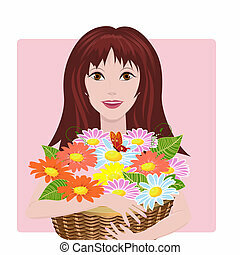 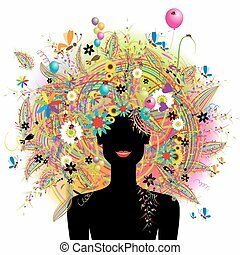 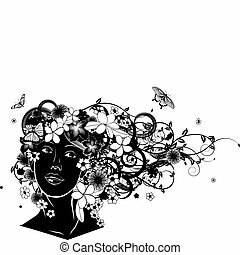 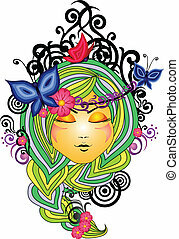 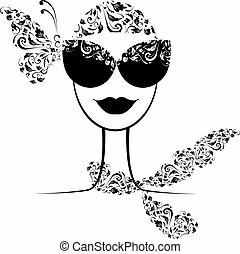 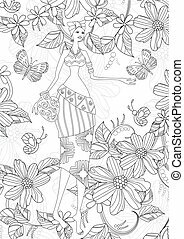 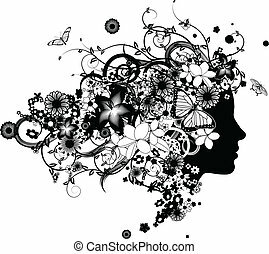 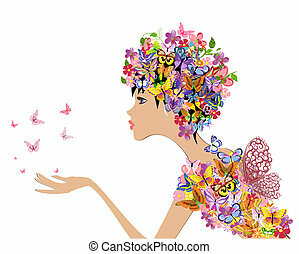 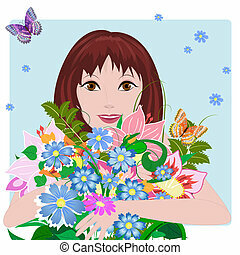 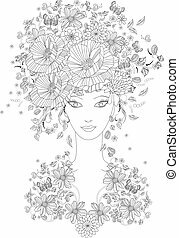 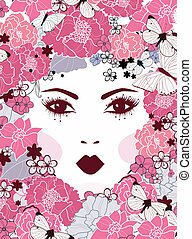 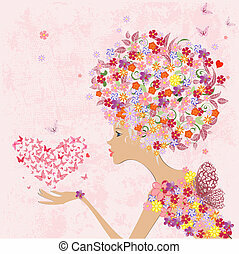 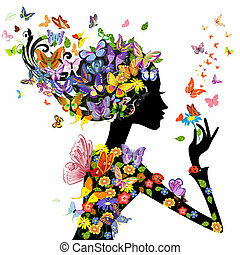 Beautiful woman with hair made of flowers with butterflies.